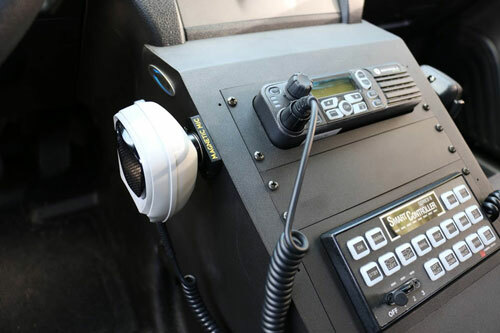 When Tennessee Police Officer Bryan Schreiber noticed his trainees taking their eyes off the road during critical moments as they picked up and hung up their police radio microphone, he decided to make a change. 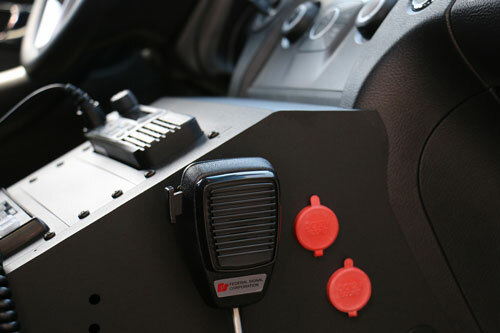 He developed a magnetic holder for the microphone that allowed his drivers to keep their focus on the road. With that, Magnetic Mic was born. Safety is important. 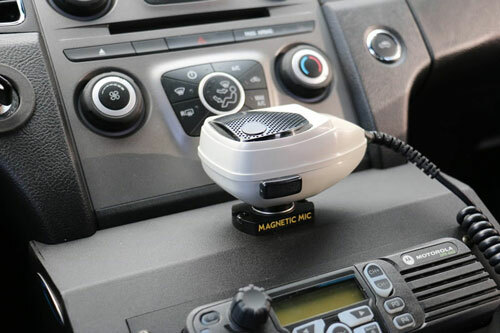 Magnetic Mic enables drivers to keep their eyes on the road instead of fumbling with a conventional mic clip. The magnetic base replaces the conventional metal hang-up clip used with most radio microphones. 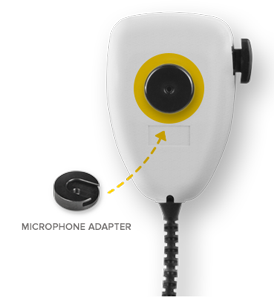 It can be easily installed anywhere within the driver’s reach and magnetically guides the mic into place - just get it close, and let go. 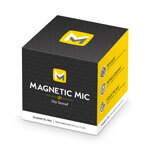 Magnetic Mic’s microphone adapter is designed for universal compatibility. The slotted metal disc easily fits over and securely locks onto the back of your existing microphone. 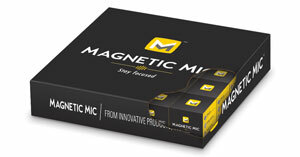 Find out why more than 30,000 radio operators are using Magnetic Mic. To order, please call us at (800) 288-4505.